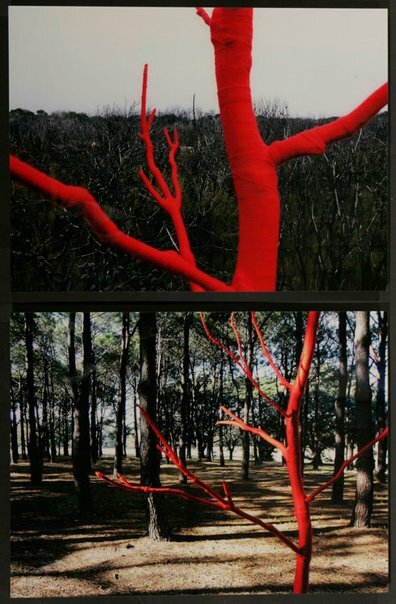 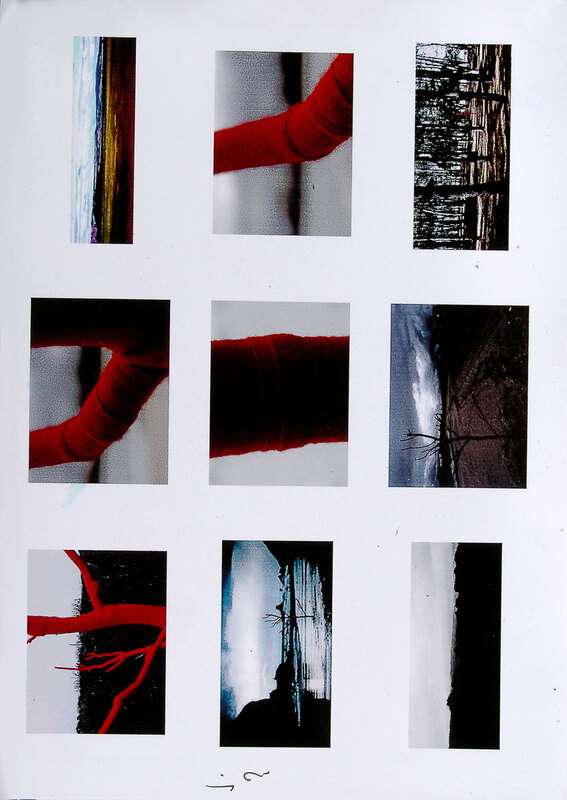 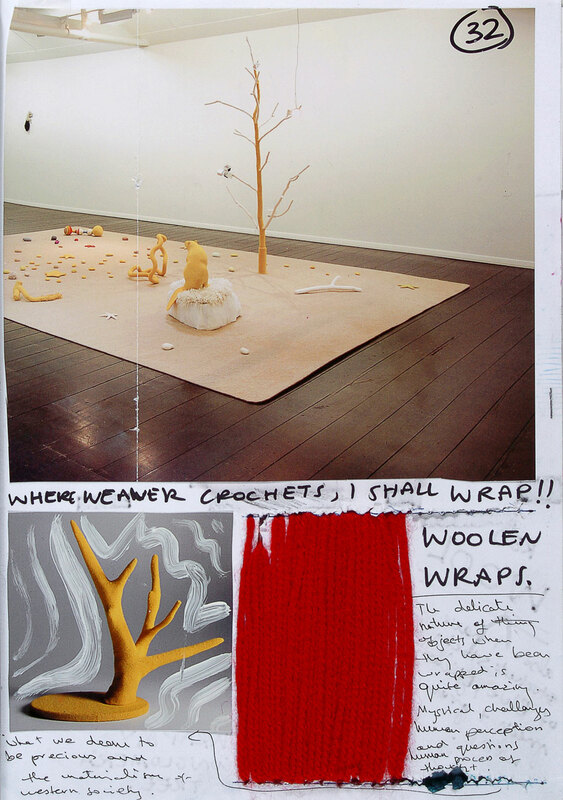 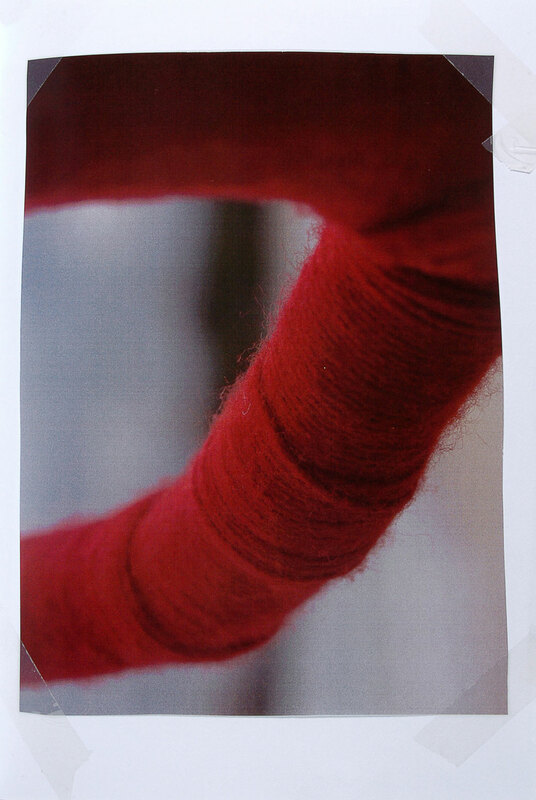 My work gives reverence to the simple, everlasting elements of life on earth, exploring the often forgotten beauty of the natural world through the evocative metaphor of the red, wool bound tree. I wish to explore the surreal juxtaposition of nature and alien yet beautiful elements of human society. 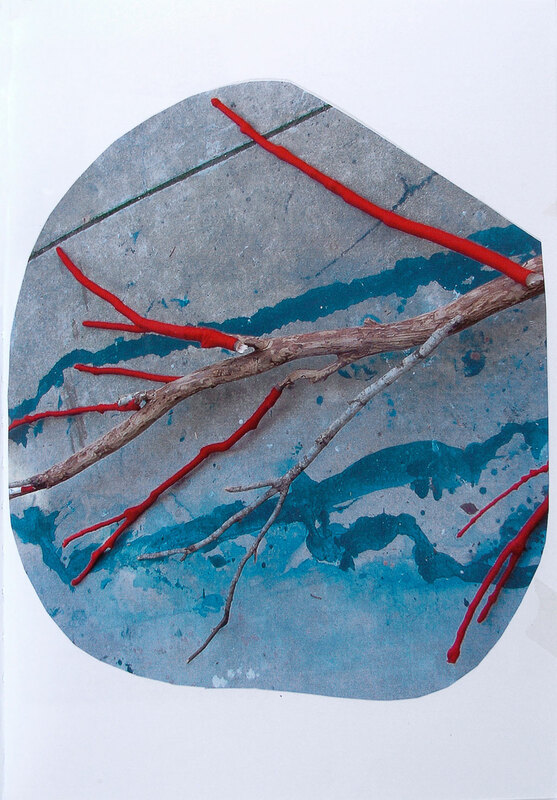 Through an arcane blend of natural and artificial materials the work emphasises the need to redefine our relation with nature, cathecting an eternal symbol of life as a means of conveying the converse transience of human life. 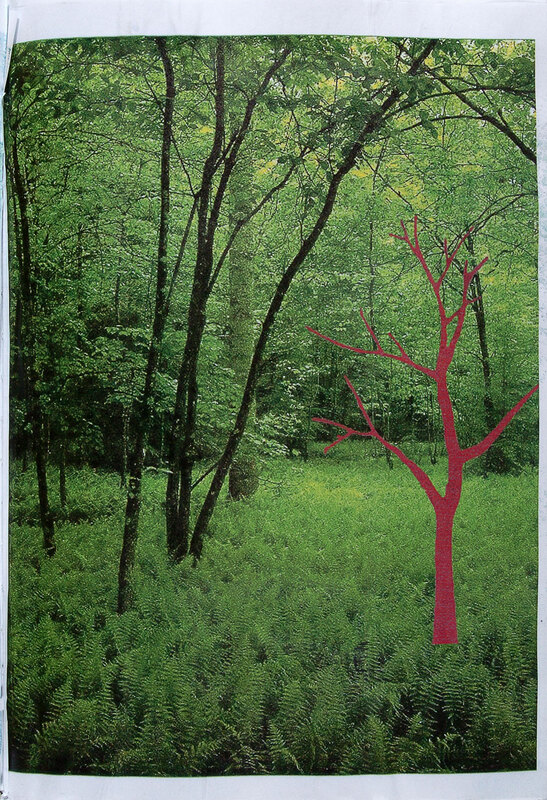 Contemporary art’s engagement with the natural environment has moved beyond more passive traditional landscape painting to encompass land and environmental art. 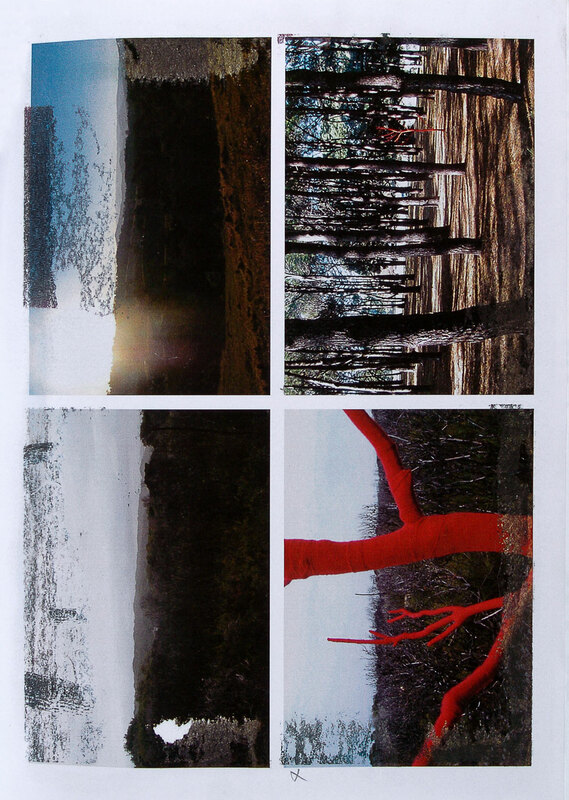 Compare and contrast the different ways that Harry Greenwood, Rosemary Laing and Richard Long have intervened in the landscape. 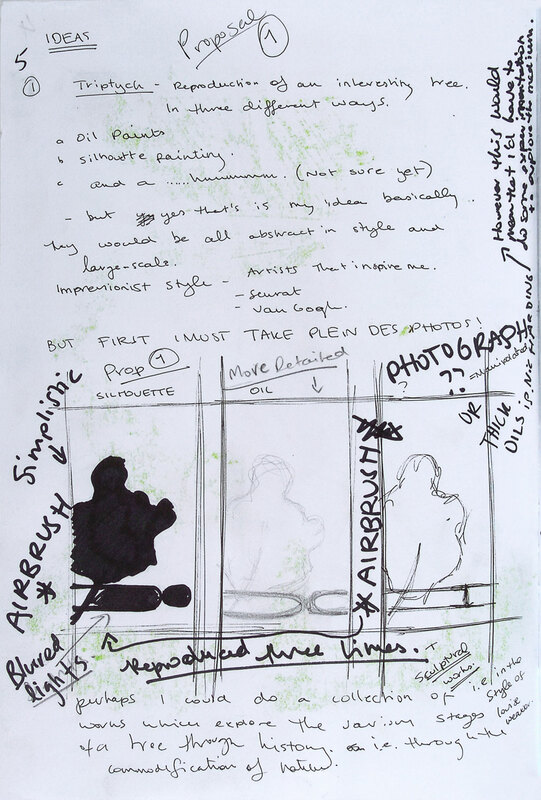 Discuss how this has been documented and consider how it blurs the identification of the original work. 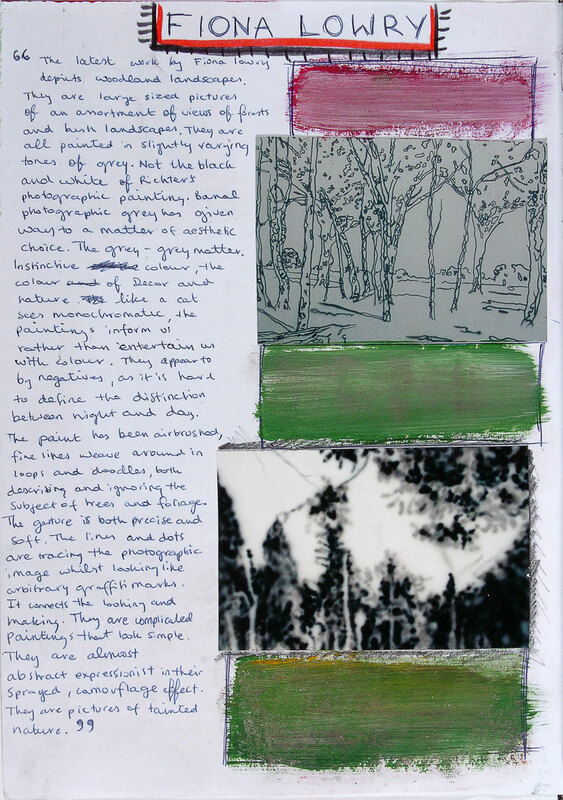 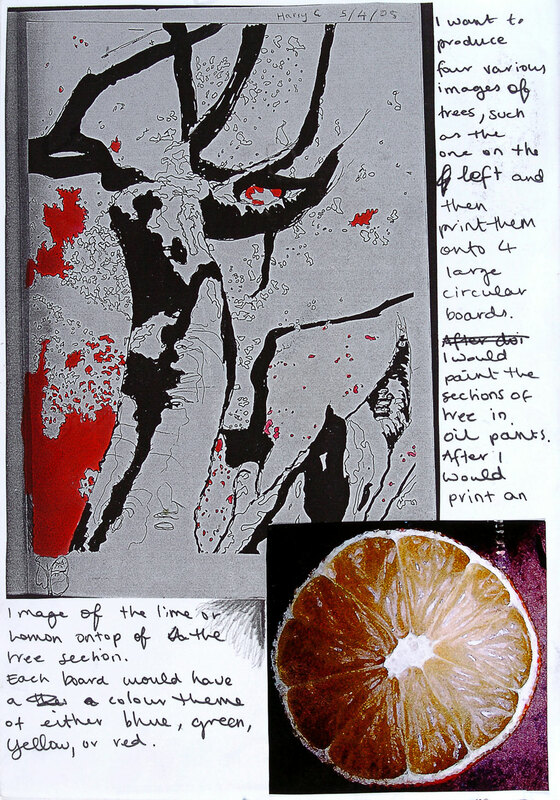 Examine how colour is used by these artists. 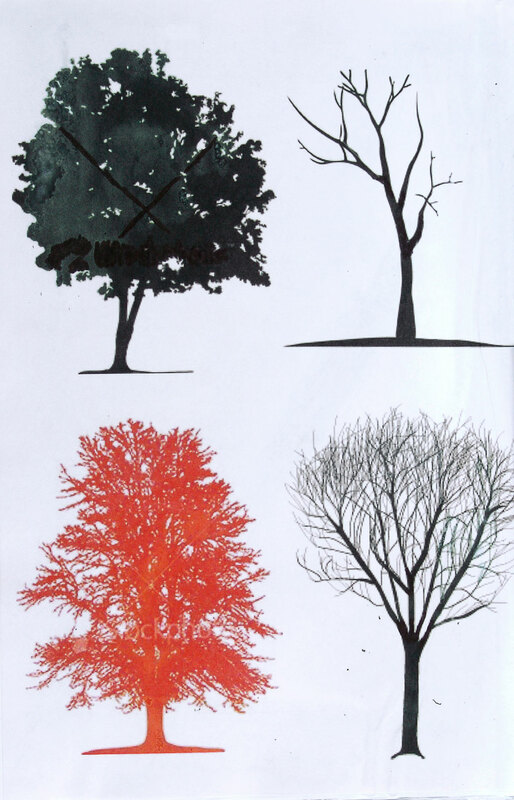 Suggest what these artworks might tell the audience about the relationship between nature and humans.